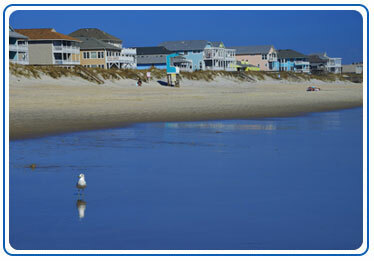 Since 2002, Blue Water Realty has been providing unforgettable NC coastal vacation experiences. Now part of the Carolina Retreats family, Blue Water Realty by Carolina Retreats offers close to 100 family-friendly Carolina Beach vacation rentals and Kure Beach vacation rentals for you to choose from. Best known for the vintage oceanside Carolina Beach boardwalk, the Tony Silvagni Surf School, and the North Carolina Aquarium at Fort Fisher, opportunities abound to experience the joys of the natural world. Staying in a Carolina Beach or Kure Beach vacation rental is the perfect way to revel in the sand, surf, and sea and to rediscover the joy of family and togetherness on “Pleasure Island”. WHAT ARE THE TOWNS OF PLEASURE ISLAND? 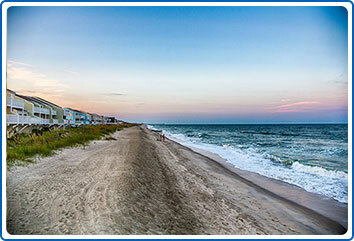 The coastal towns of Carolina and Kure Beach make up the scenic inlet of Pleasure Island, NC. The wide sandy beaches offer an unparalleled view of the Atlantic Ocean. Whether you are seeking a quiet escape or a fun filled vacation, our guides can not only help you plan and navigate your trip, but also show you the rich culture and history of the community. The livelier of the two, Carolina Beach is a thriving beach town full of restaurants, shops and nightlife fit for families and singles alike! Explore our travel guide for the best spots! The southern end of the inlet, Kure Beach remains a peaceful coastal escape from lifeâ€™s stresses. Natural preserves surround much of the townâ€™s landscape.